“A” Rating Awarded to Painted Rock Academy – Again! The report card on Painted Rock Academy is in, and we earned A rating – again! 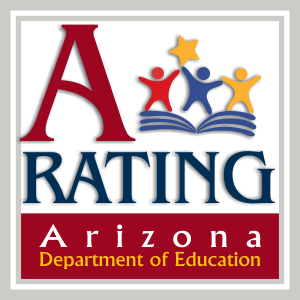 The Arizona Department of Education letter grades for the 2013-14 school year have been announced, and, as always, Reid Traditional Schools’ Painted Rock Academy and Reid Traditional Schools’ Valley Academy both received an “A” letter grade. In our organization’s 20-year history, our schools have never received less than the highest possible ranking. While we are unashamedly proud of this rating, it is more important to know that an “A” represents public recognition of our success at our true mission: preparing your children for success in college, career, and life. Our teachers and administration are committed and passionate about inspiring students on a daily basis, not just on test day. Our intellectually challenging and balanced curriculum has proven to be effective in educating students for future success. So as we celebrate our “A” rating, we also celebrate our genuine commitment to our children, our schools, and our future.